How Important Are Triglyceride Levels? Triglycerides are the most common form of fat in the body. In fact, almost all the excess calories you consume, whether you get them from eating fats or eating carbohydrates, are converted to triglycerides and stored in your fatty tissues. The relationship between triglyceride blood levels and the risk of heart disease has been less obvious than for cholesterol blood levels. However, studies have now established that there is indeed a clear association between elevated triglyceride levels and elevated cardiovascular risk. An elevated level of triglycerides in the blood (a condition referred to as hypertriglyceridemia) is associated with an increased risk of cardiovascular disease — in particular, heart attacks and strokes — in both men and women. Furthermore, people with coronary artery disease (CAD) and elevated triglycerides have a higher risk of premature death than people with CAD and normal triglyceride levels. High triglyceride levels, furthermore, are strongly associated with other significant lipid abnormalities, including low HDL cholesterol levels, small, dense LDL particles, and insulin resistance. Insulin resistance, in turn, is associated with hypertension and obesity. So, high triglyceride levels are most often seen in people who have a very high-risk metabolic profile. In these people, a high incidence of cardiovascular disease is not surprising. In general, the higher your triglyceride level, the higher your cardiovascular risk. In addition, triglyceride levels in the "very high" range can cause pancreatitis, a painful and potentially dangerous inflammation of the pancreas. Elevated triglyceride levels are most commonly seen in people who are overweight and sedentary, and who have a tendency toward insulin resistance or overt type 2 diabetes. In addition, several genetic conditions have been identified that are characterized by elevated triglyceride blood levels. These include chylomicronemia, familial hypertriglyceridemia, familial dysbetalipoproteinemia, and familial combined hyperlipidemia. Each of these genetic disorders is characterized by abnormalities in the lipoproteins that carry triglycerides in the blood. People with genetically-mediated elevations in triglyceride levels may suffer from the consequences of hypertriglyceridemia (pancreatitis or cardiovascular disease) even if they are not overweight or sedentary. The recommendations for treating hypertriglyceridemia are not as definitive as the recommendations for treating cholesterol. 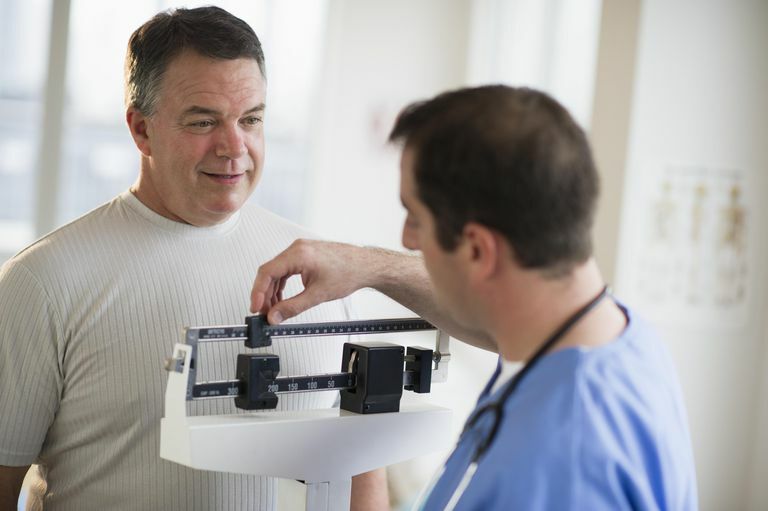 So if you have high triglyceride levels, you will need to discuss treatment options with your doctor. The lack of definitive treatment recommendations stems from the fact that, while elevated levels of triglycerides have been associated with an increased risk of cardiovascular disease, evidence that you can reduce the risk specifically by aggressively lowering triglyceride levels is lacking. This, in turn, is related to the fact that most people with hypertriglyceridemia also have several other risk factors — and all the risk factors get treated at the same time. It’s next to impossible to tell how much of the improvement in outcomes are related specifically to lower triglyceride levels. For triglyceride levels in the borderline high range, lifestyle modification is recommended, including diet (avoiding saturated fats and trans fats, eating plenty of fruits and vegetables, and avoiding alcohol), weight loss, exercise, smoking cessation, control of blood sugar, and blood pressure control. For triglyceride levels in the high range, the same lifestyle modifications are recommended, along with a reduction in LDL cholesterol levels, according to the latest recommendations for treating LDL cholesterol. For triglyceride levels in the very high range, the primary goal is to prevent pancreatitis by reducing triglyceride levels to below 500 mg/dL (usually with a fibrate drug or niacin ), then secondarily to aim for LDL cholesterol reduction according to the latest recommendations for treating LDL cholesterol. Elevated triglyceride levels are associated with high cardiovascular risk, and extremely high triglyceride levels can cause pancreatitis. In most people, high triglycerides occur within a setting of multiple risk factors for heart disease. So, if you have high triglyceride levels, odds are good that your cardiac risk factors present a "target rich environment," and that you have a lot of work to do to reduce your risk. You and your doctor should work together to devise a personalized risk-reduction strategy that's right for you. Rosenson RS, Davidson MH, Hirsh BJ, et al. Genetics And Causality Of Triglyceride-Rich Lipoproteins In Atherosclerotic Cardiovascular Disease. J Am Coll Cardiol 2014; 64:2525. Third report of the National Cholesterol Education Program (NCEP) Expert Panel On Detection, Evaluation, And Treatment Of High Blood Cholesterol In Adults (Adult Treatment Panel III): Final report. US Department of Health and Human Services; Public Health Service; National Institutes of Health; National Heart, Lung, and Blood Institute. Circulation 2002; 106:3143.